TheMetalBikini.com- X-Wing Miniatures and more: VT and YT Are Shipping! 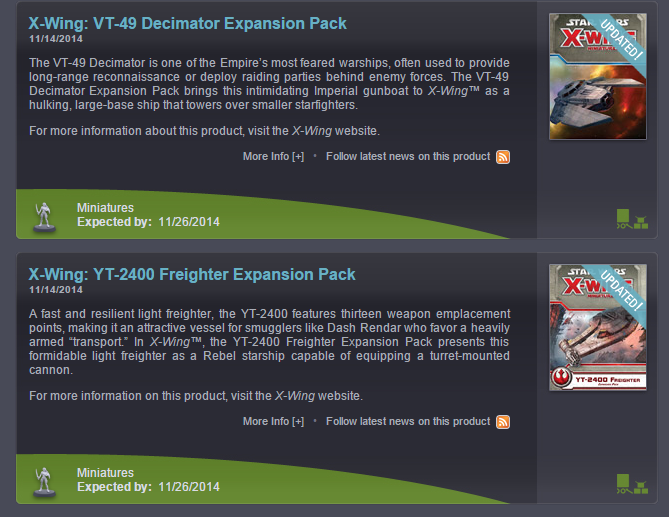 Sean just messaged me with the info that the VT-49 and YT-2400 are finally shipping to retailers! Can I be the first to say, "It's about damn time! "?